I’ve been procrastinating on this review because the end of a love affair is always hard. 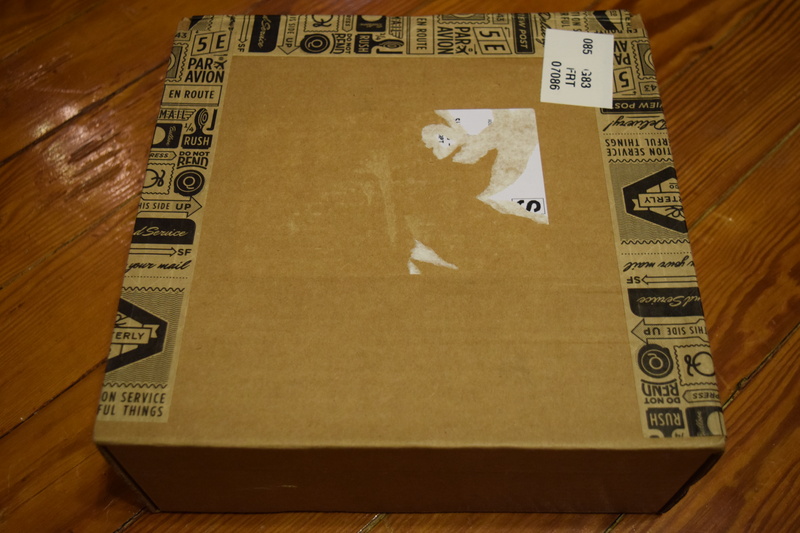 Picture it: Fall 2013, and a fashion box with a glam grunge theme shows up at my door. It was like Nina knew *exactly* what I wanted. Friends, I fell hard and fast. 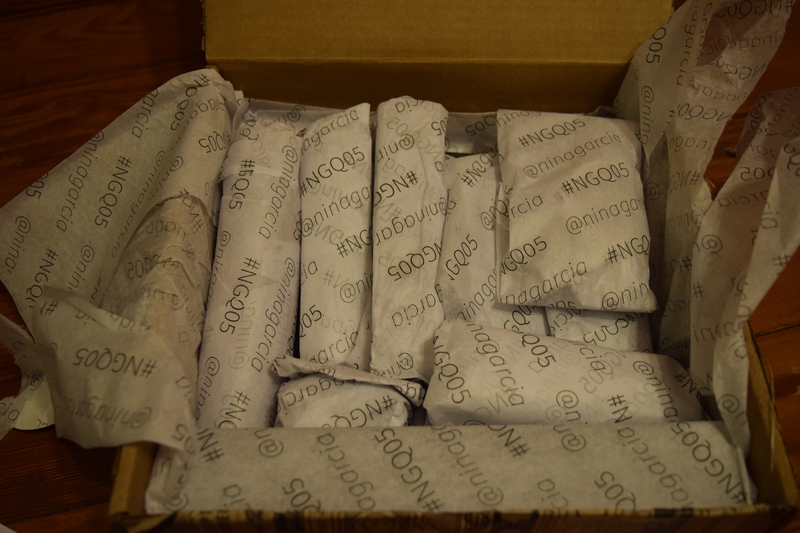 Then, a box of Nina’s favorite things shows up in March 2014. It’s not as tightly curated as the last one, and has a few odd items, but it was still a great and I was feeling secure in my decision to spend $100 every couple months for Nina. 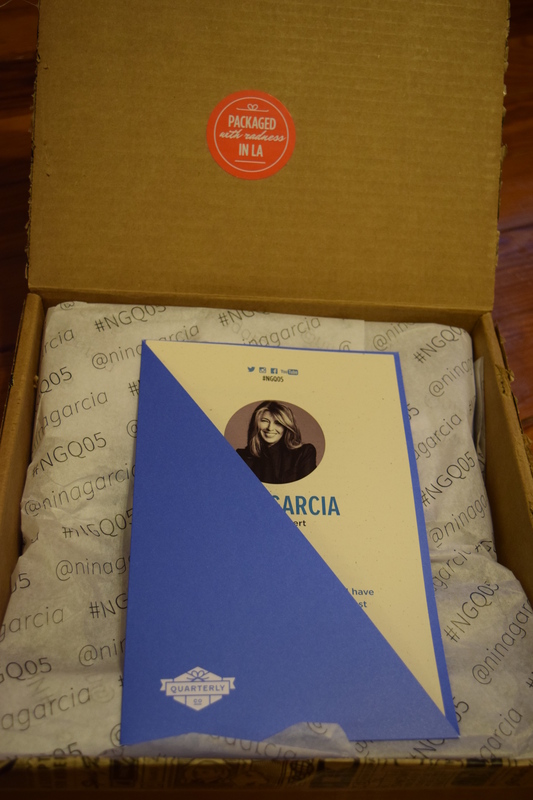 Things took a turn in July 2014, when I got a box so strange, so odd, that I couldn’t believe it was Nina Garcia. It started with a baseball cap to commemorate the World Cup and ended with a tiny rubber shoe. Yes, a tiny rubber shoe. I didn’t think I could get past the betrayal, but I held on, hoping things would improve. And they did, slightly, in November 2014, when we got a humdrum box that included yet another hat: This one featuring the word “Ballin” across the front. Where was the excitement? Where was the cutting edge style? Still, Nina had improved from our last disastrous encounter, so I was going to give her one more chance to see if there was still a spark left. So that brings us to April 2015. The box that would decide if Nina and I still had a future together. 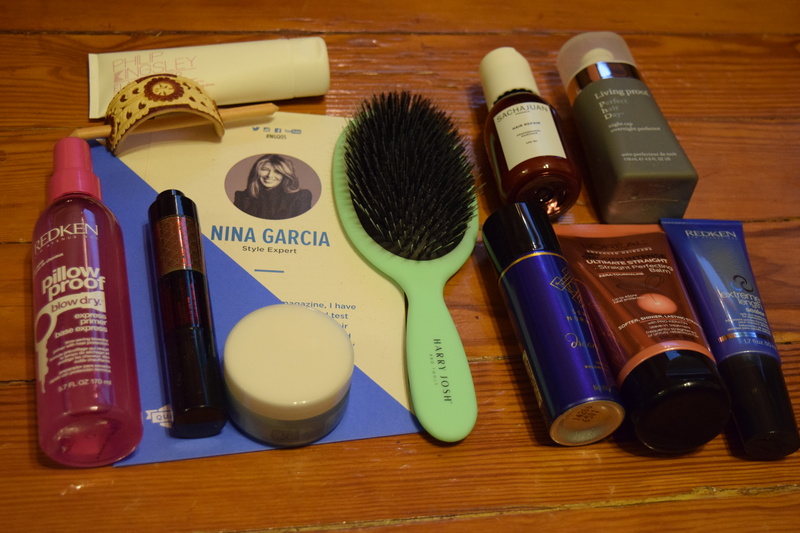 I received an email saying that the “theme is Luxe Hair Care – “Nina’s favorite products for sleek, gorgeous hair every day”. But this was a fashion box! That couldn’t mean it would be *all* hair products, right? I mean it must be that most of the items are hair related and or maybe just have a big ticket styling tool. It’s not like they’d charge me $100 and then just send me a billion hair products? Right? RIGHT? But when you once shared something beautiful with someone you always hold too tightly to the memory. So yeah this is a box of hair stuff. And no, there’s not a curling iron or a blow dryer to be seen. 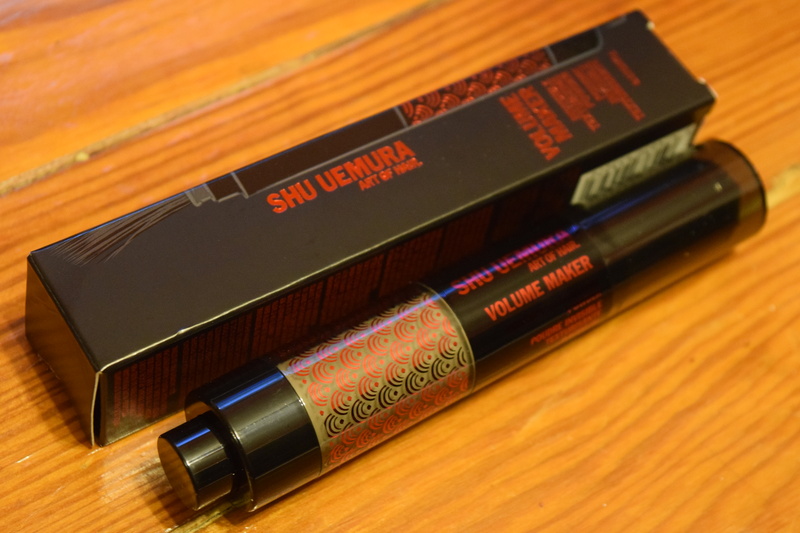 Shu Uemura is a super fancy pants brand and this product does give you great volume. 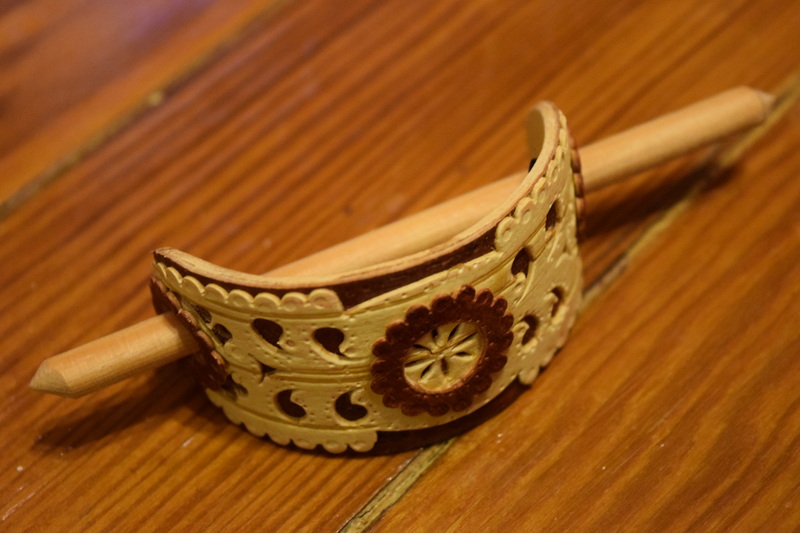 It has a brush applicator and if you apply a bit to your roots it gives you some great lift. This is the type of product I expect in a box at this price point so this was a good choice. Yes, yes you want “options” in the volume department, but this is a one time box. Maybe the curation should focus on more variety and less duplication. That being said, I actually really like this product and received it in Birchbox’s LE Vanity box which is still available for purchase. The Vanity box is fabulous and actually costs less than this one. It features hair products (including something from Shu Uemura) along with a plethora of beauty, skincare and lifestyle items. If you’ve got Birchbox points you’re saving up, that would be a great splurge. 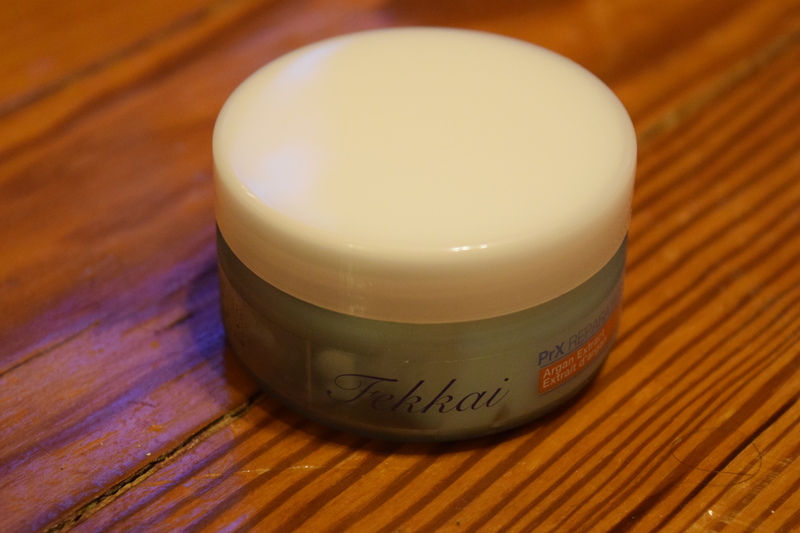 Don’t get me wrong, Fekkai is a great brand, but you can find his products everywhere (including Target). I think there are more interesting brand for hair masks and that a Fekkai shampoo & conditioner set would have been a better choice from this brand. 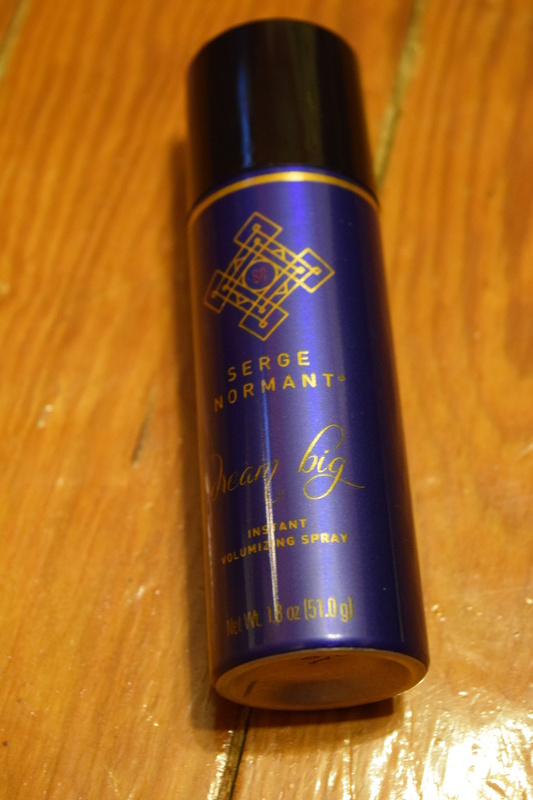 This saved Audrey Hepburn’s hair! Sign me up! 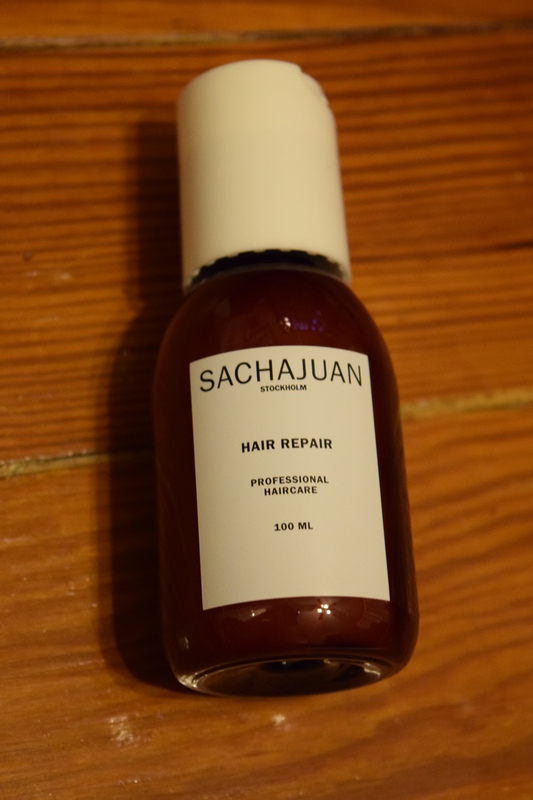 This is the type of product I want in a $100 fashion box that decided to feature all hair products. This is also a treatment you use before shampooing which adds to the uniqueness of it. This one is definitely a win. This is brand I’ve received in LE boxes from Popsugar and Birchbox and I really do like their products. My problem is that at this point I’m getting overwhelmed with the amount of treatments/masks. While I know they are different, it’s hard to know which one to start using. This is a subscription box, not the hair care aisle of Sephora. This is supposed to be a tight curation, not everything Nina’s ever used. Sometimes less is more. I don’t blow dry my hair too frequently, but I expected a blow dry product to be included. It’s not particularly exciting but it makes sense in the box. I haven’t tried much Redken but I don’t consider it to be too high end or luxurious. I just feel like if I can find the product at CVS it doesn’t belong in a $100 box strictly devoted to hair products. Verdict: More Redken and More Treatments! This item is a problem because not all subscribers have or want long hair. 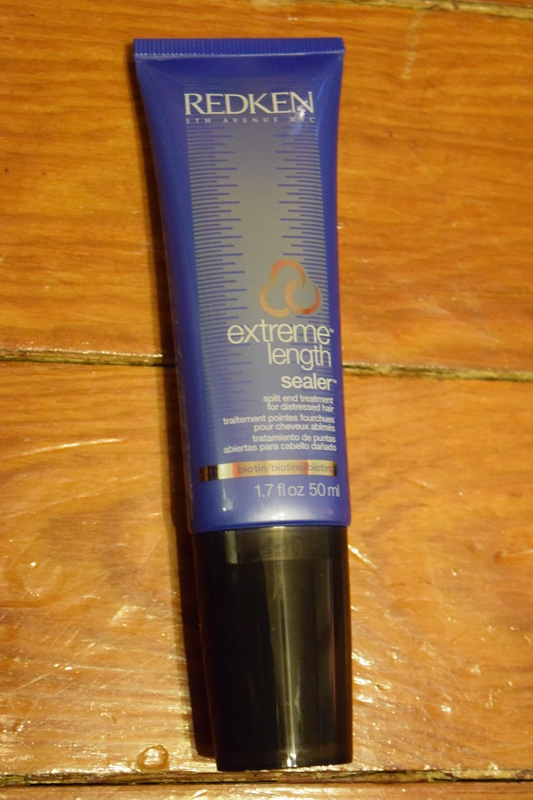 In addition, this is part of a length system by Redken so it seems like to get the best effect you’d need the shampoo and “primer”. There’s already plenty of treatments and a Redken item in this box. This slot would have been much better filled with some type of styling tool. Yes Nina, thank you so much for introducing us to L’oreal. I’d never heard of it before. 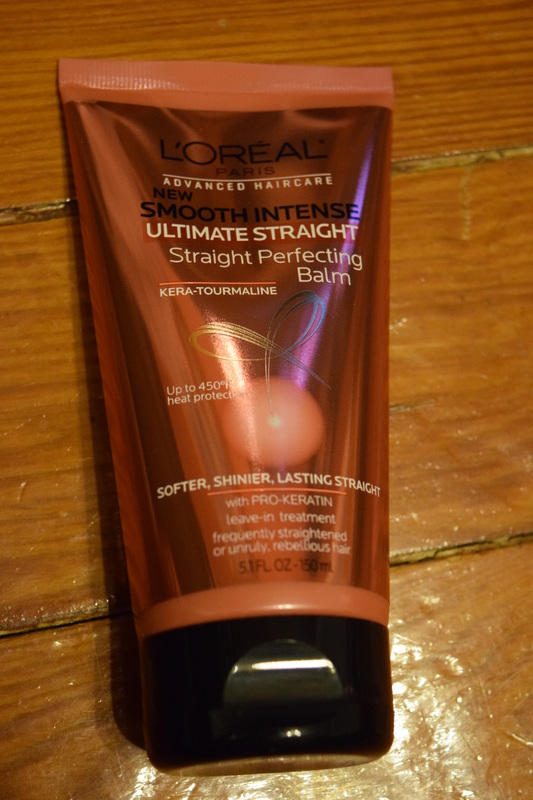 I have nothing against drugstore brands – I have and use plenty of them, including L’oreal. BUT THEY DO NOT BELONG IN A $100 BOX! Our first (and only) tool in this box. 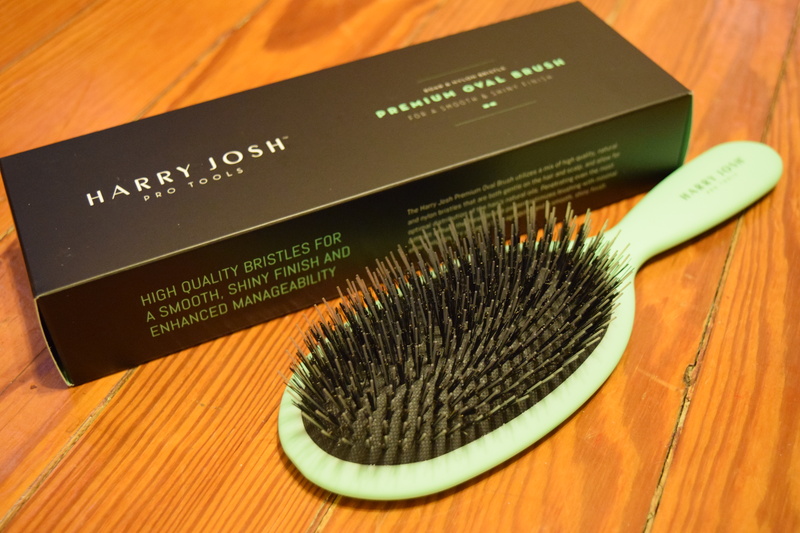 This is what I expect from a $100 box featuring hair products: a well made, lovely looking hair brush. Most ladies can go out and splurge on a styling product or mask for $15, but most don’t have an arsenal of high end hair styling tools. This brush seems quite sturdy and I love the color. It’s the best thing in the box. Have you lost track of the number of hair treatments we have now? I know I have. 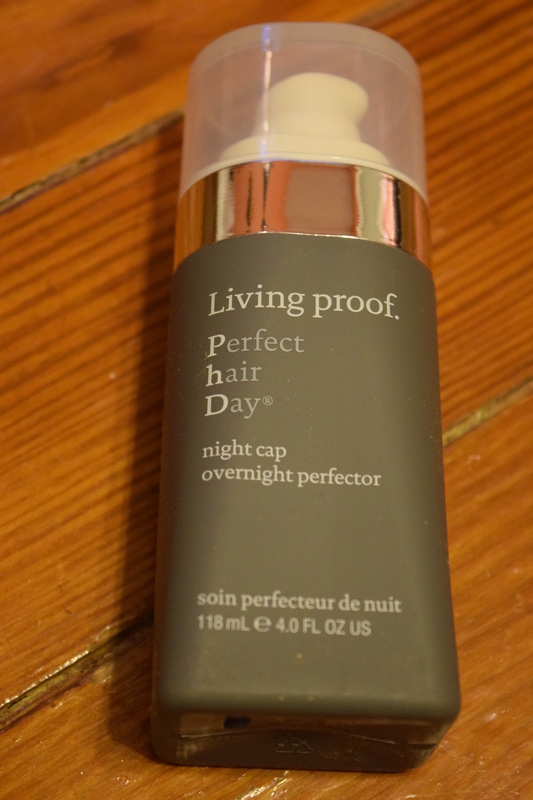 Living Proof is another great brand but we’ve already been through like a million treatments. How about something more practical – styling tools, shampoos/conditioners – something to help offset the ridiculousness of $100 all on hair products, some of which come from the drugstore. I’m glad to see something in here that isn’t a hair treatment, unfortunately this isn’t my style and it doesn’t quite feel “sleek” to me. It also can’t be used by the folks with short hair. A headband would have been a better choice since everyone would be able to use it. Still it’s a nice change of pace and it’s an item exclusively made for this box. 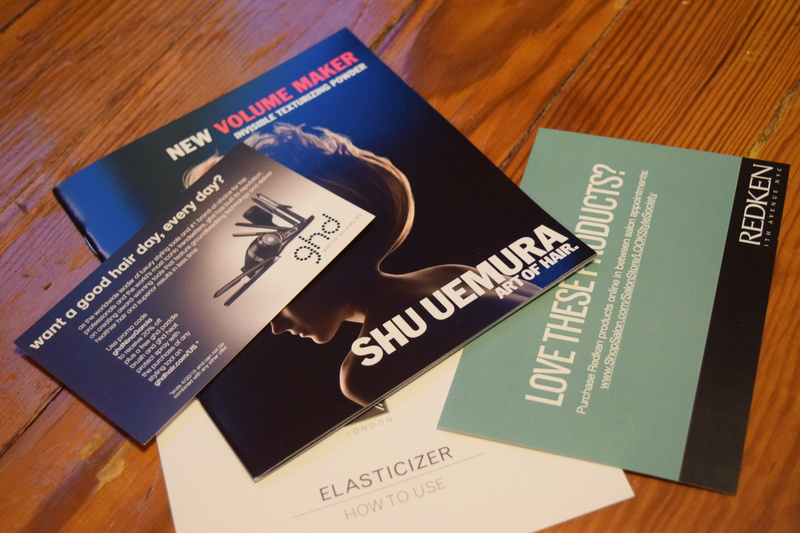 Also included are a bunch inserts about the products and a 20% off card for GHD products that expired by the time we received the box (did I mention that Quarterly boxes are notorious for arriving late?). Quarterly sent subscribers an email saying they extended the date of the coupon. Sadly now that I’ve spent $100 on hair treatments I have no money to buy anything else hair related until the Fall. Individually most of these items are really great. Unfortunately this is a box, and the name of the game is curation. It’s also important to note that this is a $100 fashion and style box. This is a lot of money for only hair products – many of which are not even close to “luxury”. As a subscriber, I expected this box to either have a mix of fashion and hair items or be heavy on styling tools. It had neither. Technically the retail value is $223.97 (excluding the wooden hair tie) but this box has only one styling tool and is full of repetitive items. A better option would have been to have one really luxurious item (like a nice blow dryer), two treatments and the brush. I’m sorry to tell you but I’ve found someone else. Rachel Zoe truly understands me. She offers spoilers of the high end item in her box, always arrives on time and has a crazy tight curation. She’s shown me everything that a $100 quarterly subscription should be, so I’m moving on. Best of luck with your boxes and please, stay away from the hats. Ok, that is sincerely bad. TWO RedKen items AND a L’Oreal?!?! Are you serious? Nina should be embarrassed and ashamed. My guess is those companies gave her the products for free and she threw them in there to bump up the overall value of the box. 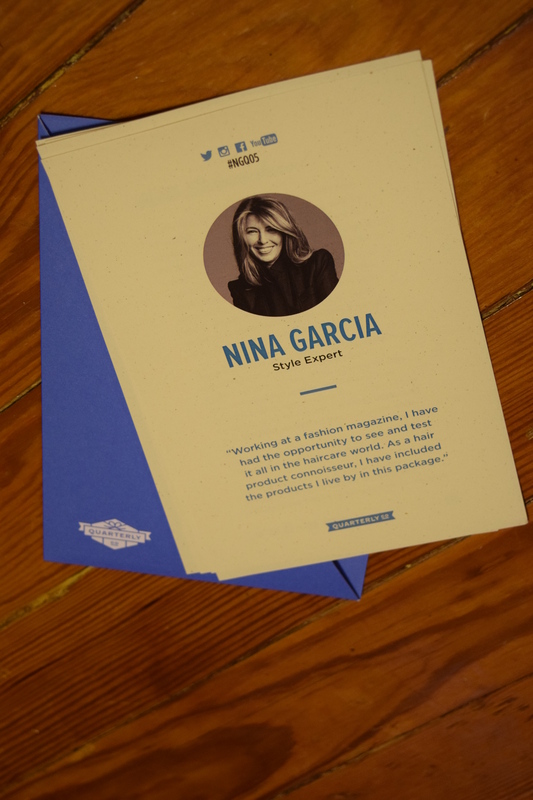 Never heard of a prescription box until today from Nina Garcia!! Personally, I love getting stuff like that but how about putting innovative products from other good or upcoming hair products from stylist or emerging brands!! And can we get some silk accessories/pillow cases/caps for our hair at night will be a great treat! Love your idea about a silk pillowcase! I would have been thrilled to receive that. This looks like an aaaaamazing slue of products. How many months does the box happen? $100 every month is obviously a MAJOR commitment and totally not affordable. But is it worth it given how many months you DO get it? The subscription is quarterly, so you get a box seasonally (4 times a year). My review has links to all the previous boxes so you can get an idea of what they’ve included before. Quarterly has also started charging for shipping so I believe the cost would be a little higher than the $100 I’ve paid. Honestly, this sub started out awesome and then went downhill quickly. The Rachel Zoe sub is also $100 and quarterly and offers better items, a better curation and reveals spoilers of the high ticket items so you have a better idea if the box will work for you. That’s the fashion/style box I’d recommend. Hmm. 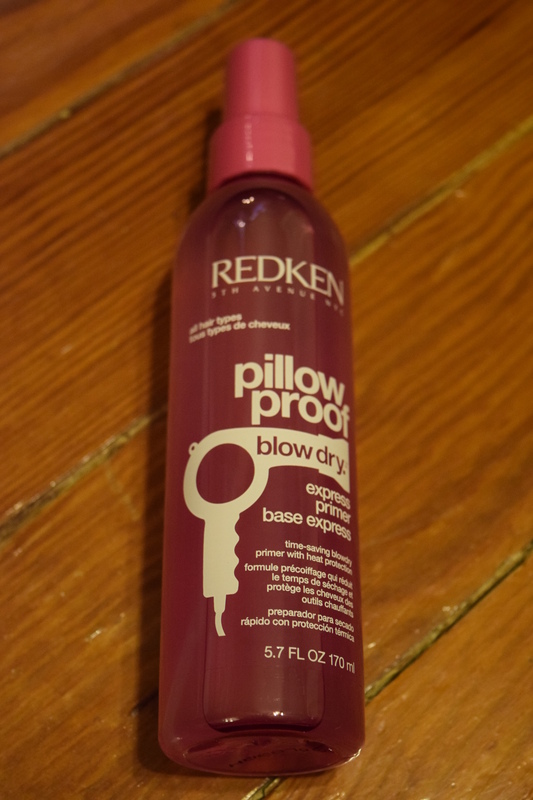 I actually love that Redken Pillow talk (they carry it at my salon) BUT I don’t know if I’d expect to see it in a box like this. I also really love that l’oreal product, but again-not in a box like this. I’d be super excited about that hair brush! I’ve heard so many good things about that line, including his hair dryer that i wish I could afford haha! I’d really like the L’Oreal or Redken in another box, but I just expect more from a box like this. I really wish we’d gotten his hair dryer in the box! If that had shown up with nothing else, I would have been happy.